Home›Reviews›Ringo Starr and His All-Starr Band at Planet Hollywood! Ringo Starr won audiences over in the 1960s as a member of The Beatles, playing drums on the band’s classic hits, and even trying his hand at singing and songwriting on more than a few occasions. Following the Fab Four’s disbandment, Starr would go on to other things, much like his former bandmates. In 1989, Ringo Starr began the “All-Starr Band,” which combined him with many of the music world’s finest personalities. Many artists have been in the All-Starr Band over the years, and those artists have had huge careers of their own elsewhere. 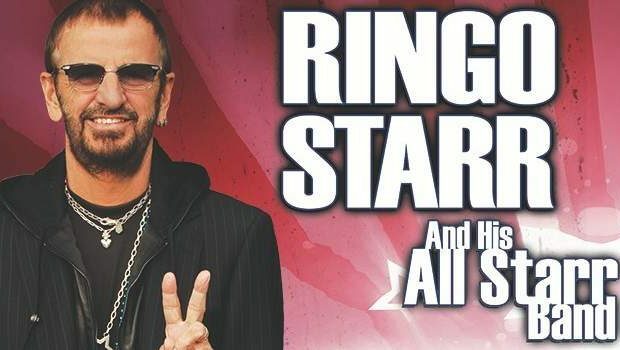 Ringo’s current All-Starr Band is comprised of Gregg Bissonette (David Lee Roth band), Warren Ham (Kansas), Steve Lukather (Toto), Richard Page (Mr. Mister), Gregg Rolie (Santana, Journey), and Todd Rundgren (Utopia, Nazz). Despite being a die-hard Beatles fan, I had never seen either of the two surviving members of the group live (Paul McCartney being the other). Upon hearing I would have the chance to go and see Ringo Starr, now age 77, I did not want to pass up what would likely be a once-in-a-lifetime opportunity. Naturally, I came into the show not fully knowing what to expect. Would this be a “Beatles Greatest Hits” show? A set of Ringo solo hits? 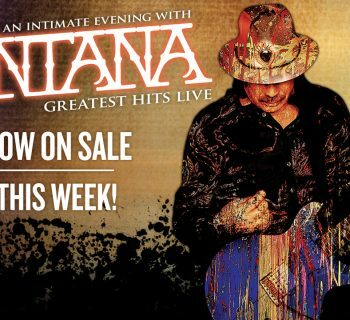 A show in which his All-Starr Bandmates got a chance to show off material from their previous bands? Ultimately, we got Beatles and solo songs that Starr originally sang lead vocals on, as well as many moments where other members of the group got to take center stage. Ringo himself alternated between doing lead vocals up front, and sitting behind a drum kit for songs where he wasn’t (pardon the pun) the star. Throughout the night, he was in good spirits and humor, which are amongst the man’s signature traits, even to this day. For songs with Ringo singing, we got classics from The Beatles years including “Boys” (originally by The Shirelles), “I Wanna Be Your Man,” “Matchbox, “ “Yellow Submarine,” “With a Little Help From My Friends,” “What Goes On,” and “Act Naturally.” The one surprising omission from this segment of the show was “Octopus’ Garden,” arguably The Beatles song most associated with Ringo. Personally, I was glad to see that Ringo did not simply turn this into a “Beatles Greatest Hits” show; he rightfully restricted it to songs that he sang on. We also got a handful of Ringo solo classics, including “It Don’t Come Easy,” “Photograph,” and “Back Off Boogaloo.” There were only a few tunes I didn’t recognize, which I assume were recorded by Starr in more recent years. 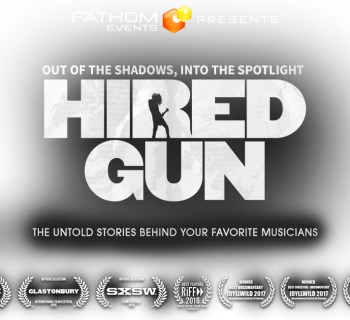 Of course, there were a few other solo tunes I wouldn’t have minded hearing, including his cover of Bruce Channel’s “Hey Baby,” but I doubt anyone in the audience was dissatisfied with what they got to hear. A major segment of the show came from a “revolving door” element, in which the band went around the stage, performing songs from their own respective careers. We got to hear Todd Rundgren take the vocals for “I Saw the Light” and “Bang the Drum All Day,” Gregg Rolie play keyboards on and sing spirited renditions of Santana hits “Evil Ways,” “Black Magic Woman,” and “Oye Como Va.” Steve Lukather demonstrated why he is one of the best guitar players in the business with performances of “Rosanna” and “Hold the Line.” Mr. Mister’s Richard Page was a surprisingly strong standout member of the band with his powerful versions of “Kyrie” and “Broken Wings;” that band’s two biggest hits. This was a nice sampling of songs from the careers of the various All-Starr Band members, though I would loved to have heard Rolie sing at least one Journey song, rather than just Santana stuff. A small complaint in the long run, though. But the question sure to be on everyone’s mind…. Was the show GOOD? Absolutely. Ringo Starr surprised the hell out of me; for a 77-year-old man, he moves around the stage surprisingly fast, and with high amounts of energy. Likewise, his vocals are still strong and he does well behind the drum kit. I knew he would put on a good performance, but found myself impressed nonetheless with the results. There are artists 20 years younger that struggle to bring it on stage, but Mr. Starr can satisfy and captivate an audience all these years later. I will be honest; this is not going to be a show for everyone. I absolutely loved what I saw; seeing Ringo and company deliver classic hits from their past, and the band had a great chemistry and more musical talent than I had seen in one room in I don’t know how long. 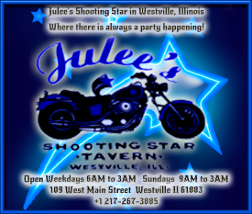 But it is a “revolving door” show that lets other members of the group take center stage, and while I loved what I saw, people expecting to go in there and see a “Ringo Starr solo show” or a "Beatles hits" one are not going to get that. 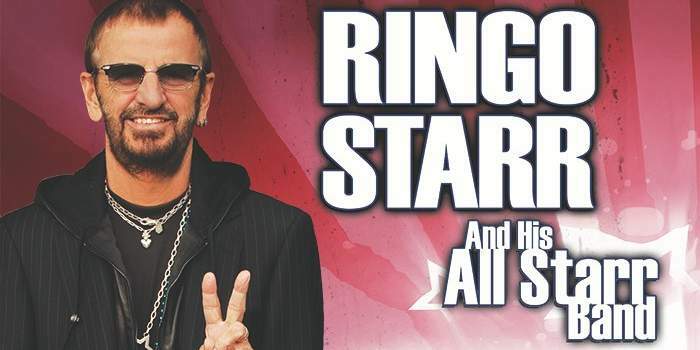 If you are looking to see a stage packed with talent and plenty of musical history, these Ringo Starr and All-Starr Band gigs are a ton of fun, and come highly recommended. 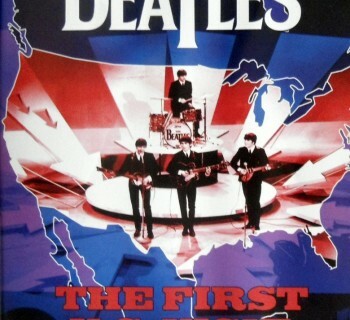 Beatles - The First US Visit Chronicles the Band Behind the Scenes in Their Early Days! Drum Wars at Vamp'd - The Appice Brothers Bring The Noise! Journey Unlimited Brings the House Down at Vamp'd!